CHICAGO (Jan. 10, 2017) - As part of an overall goal to improve the player development pathway for elite boys soccer players, the U.S. Soccer Development Academy is adding a U-15 single age group for the 2017-2018 season. The strategic move to expand the pathway is part of a long-term plan for player development, and will provide Academy clubs with the opportunity to enhance their efforts to develop world-class players. "The addition of the U-15 age group is another important step to ensure players have the opportunities they need to develop on and off the field," U.S. Soccer Development Academy Director Jared Micklos said. "We have all seen the benefits of the increased opportunities this season with the split of last season's U-13/14 division into single U-13 and U-14 age groups. We believe the U-15 age group will be another avenue for clubs to further their player development efforts." At the beginning of the current 2016-2017 Development Academy Season, the move to split the previously combined U-13/14 age group to single ages (U-13 and U-14) made a significant improvement in the player development pathway by increasing the overall number of players, teams, clubs and games. With the addition of a single birth year U-15 age group, the pool of elite players will expand further, adding approximately 1,500 players to Academy clubs and raising the total number of Academy players across all age groups to more than 12,000. The change to a U-15 single age group is in coordination with the birth year mandate that will go into effect at the beginning of the 2017-2018 season. The Academy will continue to register players by birth year and all of the six age groups featured in 2017-18 will provide a continuous pathway for players from Zone 1 (age 6-11), through Zone 2 (age 12-17), and into Zone 3 (age 18 and above). Having single age groups throughout the foundational ages (U-12 through U-15) creates a player pathway with no gaps in maturity. This further allows Academy coaches and technical staff to mitigate relative age effect and gives an additional ability to play younger players up when they are ready. The goals of the new U-15 single age group will continue to be aligned with U.S. Soccer Development Academy objectives, which include more training, playing fewer total games, but more meaningful games, having age-appropriate travel and competition, reducing costs, paving a consistent development pathway, and playing under a simplified calendar that allows clubs to plan for elite level international and domestic events. Overall, developing players starts with coaching. The addition of U-15 age group will provide players with coaches that meet the minimum U.S. Soccer B license standard and create a positive learning environment focused on individual development within the team concept. "Over time, we have closely monitored the Development Academy combined groups to assess the impact on talent identification and development, especially at the ages during early adolescence where there can be significant physical differences, based on an individual's maturation rate," said Director of Scouting Tony Lepore. "From looking at the data and speaking with our Technical Advisors and club directors, we know that adding U-15 single age group to the program will not only expand the influence and player pool, but it will also help clubs streamline the learning environment and allow individual players to follow their own pathway. 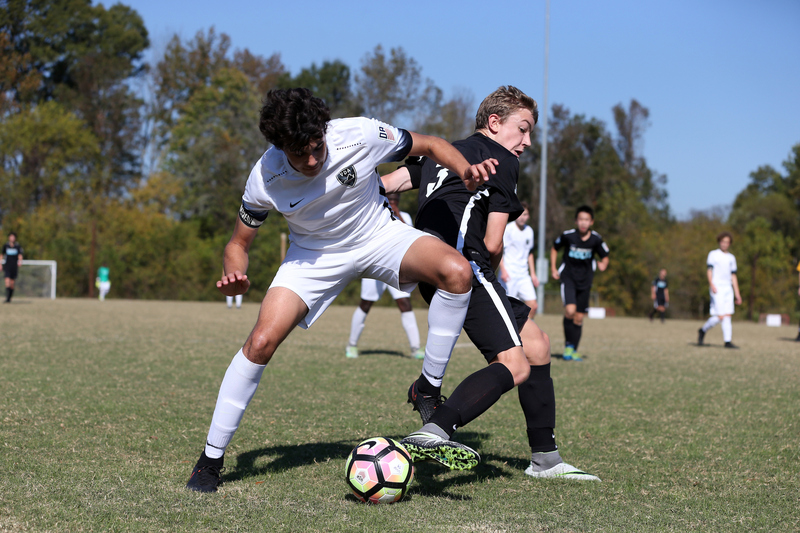 The expansion to U-15 single age will really help to provide a place for individuals born later in the year or talented late developers, similar to what we have seen with the addition of the DA U-13 single age group this season." Albion SC - San Diego, Calif.
Armada FC Pro Academy - Jacksonville, Fla. Ballistic United SC - Pleasanton, Calif.
Cedar Stars Academy - Bergen - Carlstadt, N.J.
New York Soccer Club - Chappaqua, N.Y.
Virginia Development Academy - Woodbridge, Va. The six clubs were selected based on history of player production, cooperation with full Academy Clubs, and their alignment with the standards set by the U.S. Soccer Development Academy to develop world-class players and coaches. They will expand to U-15 Academy membership along with the 73 clubs currently part of the combined U-15/16 and U-17/18 age groups. The expansion age group will continue to grow and develop the elite player pathway. The image below represents the age groups and number of clubs currently participating in the 2016-2017 Development Academy season. In contrast, the next image represents the structural change in age groups kicking off in September 2017. See notes below regarding membership and total number of clubs for the 2017-2018 season. Note: The Academy will release additional information in early February with regard to applications submitted in all other age groups. All current full Academy clubs, any new additions at older age groups, and the clubs promoted in this release will make up the U-15 age group.